William Harold Bouldin, 68 of Pulaski, VA went to be with the Lord on Thursday, November 15, 2018 at the Salem VA Medical Center. Mr. Bouldin was born on January 1, 1950 in Wytheville and was a son of the late Beartha Jewel Bouldin. 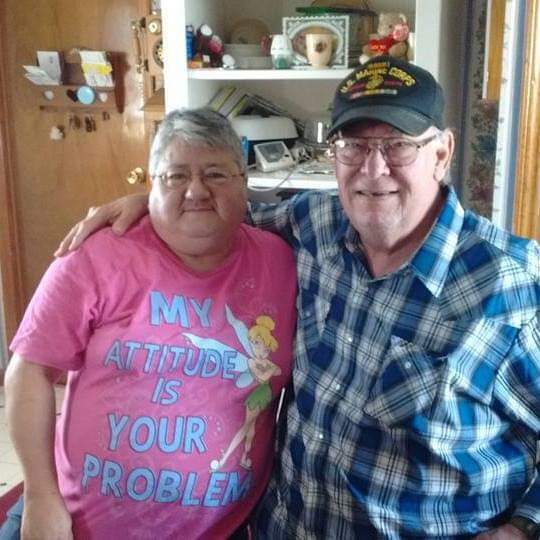 Mr. Bouldin was a U.S. Marine Veteran in the Vietnam Era and was a retired Truck Driver. Besides his mother, he was preceded in death by his wife of 32 years, Erma Hager Bouldin. He is survived by his wife, Elizabeth Clower Bouldin of Princeton, WV, one son, Sherman Marcus Bouldin and wife April of Mt. Airy, NC, two daughters, Stephanie and John Collins of Rainelle, WV, Alicia B. & William Thornton of Pulaski, one step-son, Robert & Rebecca Clower of Oakvale, WV, one brother, Steve & Donna Martin of FL, one sister, Judy Bayne and seven grandchildren, Kimberley, Emma , Cindy Thornton, Michael Bouldin , Johnathan Collins, Alexander Bouldin and Clarice Bouldin. Funeral services will be conducted, Monday, November, 19, 2018 at 2pm at the Riffe – Givens Funeral Chapel in Narrows with the Rev. Dr. Fred L. Austin officiating with burial following in the Shrader Cemetery in Niday, VA. The family will receive friends at the funeral home one before the service. Memorial donations may be made to the American Diabetes Association.